1). It is manufactured and inspected according to the Dry Evaporator Used on the Freon Refrigeration Equipment to ensure the product quality. 2). The heat exchange tube is of inner screw high efficient, 20%~50% more area than plain tube, so that the heat transfer efficiency get improved. 3). 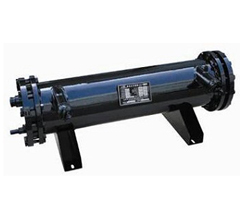 The tube get cleaned with specific equipment to ensure the cleanliness inside the refrigeration system, and can meet the requirement of different refrigerant. 4). It is of proper design and high heat exchange efficiency which can be widely used in the industry cold water units and medium and large central air conditioner etc. 5). 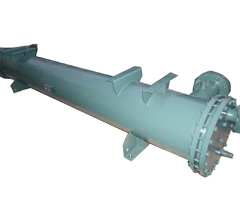 The shell evaporator itself has the water drainage device, to avoid the freezing ice inside exploding the tube under low environment temperature in winter.